Night of the Living Dead is a 1968 American independent black-and-white horror film and cult film directed by George A. Romero, starring Duane Jones, Judith O'Dea and Karl Hardman. It premiered on October 1, 1968, and was completed on a USD$114,000 budget. After decades of cinematic re-releases, the film was a financial success, grossing $12 million domestically and $18 million internationally. 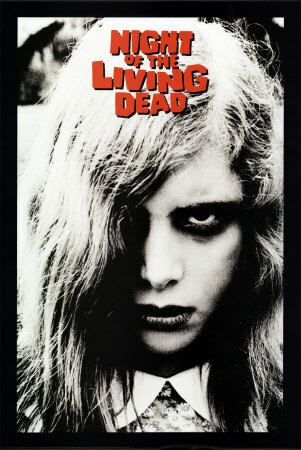 Night of the Living Deadwas heavily criticized during its release because of its explicit content, but received critical acclaim and was selected by the Library of Congress for preservation in the National Film Registry as a film deemed "culturally, historically or aesthetically significant." The film entered the public domain due to an error by the distributor.